Our T-shirt printing services are of highest quality at competitive prices with prompt, professional and friendly service. 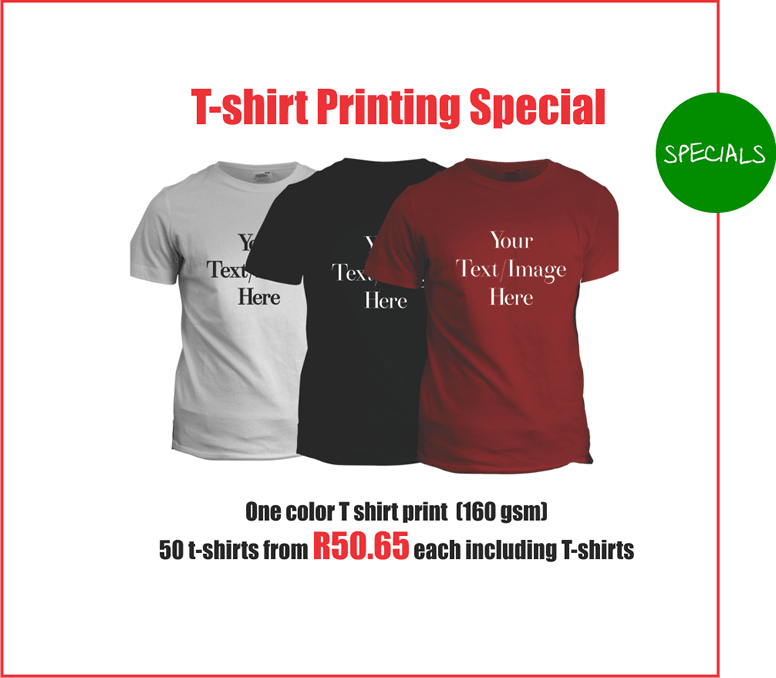 We are the best t-shirt printers in Johannesburg, Gauteng and South Africa. All our embroidering and screen prints are done in-house under strict quality supervision. We will embroider your logo or any other design to the standard at which you will want to have and printed on your t-shirt. T-shirts can be supplied by us or by the customer in order to do screen printing. 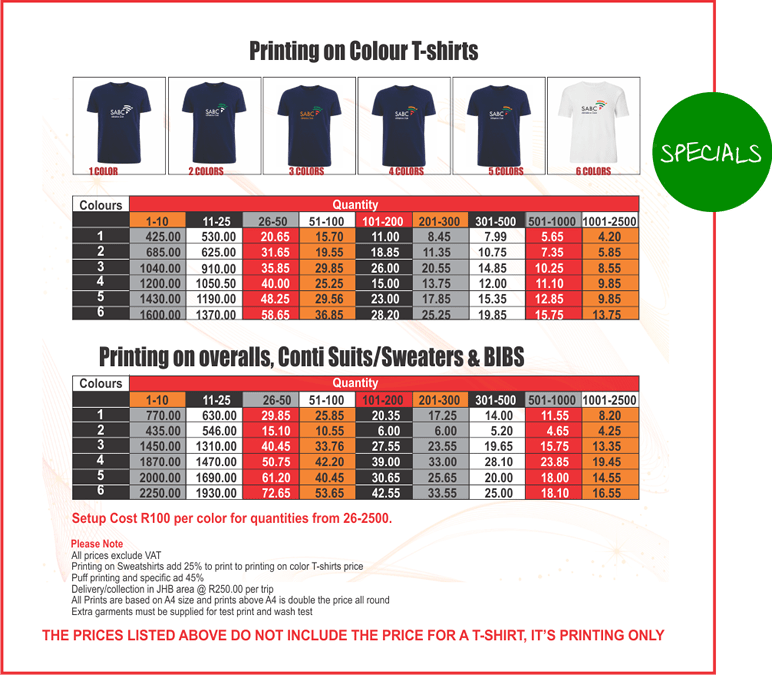 Please be advised that the dark coloured t-shirts are more expensive to print on than the lighter coloured and white shirts. If you would require a quotation for screen-printing of t-shirts, golf shirts, sports bags etc. The quantity of the order. The amount of colours that must be screen printed. The colour of the item that needs to be screen printed. If the artwork is in spot (Solid) colours or fading (Half-tone) colours. The turnaround time might change depending on the quantity and amount of colours to be printed. 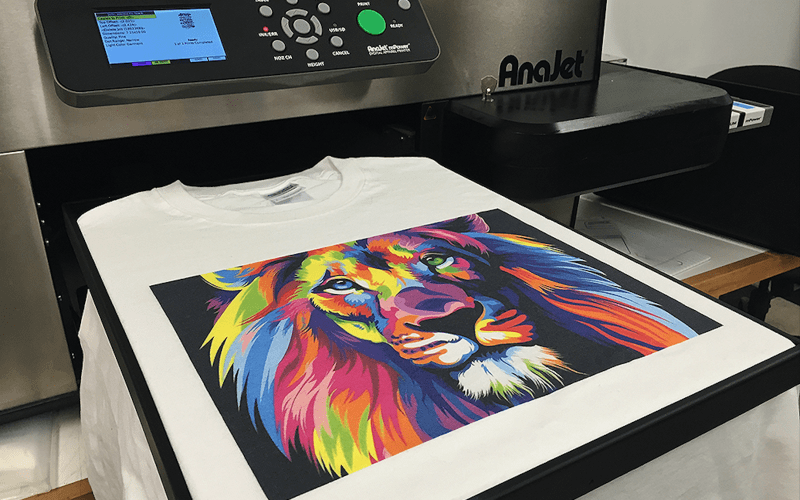 Core Digital not only specializes in t-shirt printing and embroidery, but we also print and embroider sweatshirts, polo shirts, caps and all types of clothing. Whether you are looking for t-shirt printing Johannesburg, Pretoria, South Africa or embroidery for corporate clothing, uniform, work wear, promotional clothing or a polo shirt, we can screen print or embroidery your logo on it.